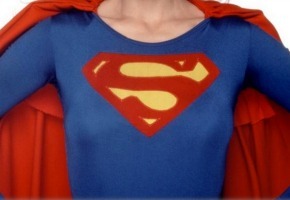 Supergirl is getting her own TV series, with a new version to be produced for CBS. The network has greenlit a series commitment to the project developed by Greg Berlanti (Arrow, The Flash, The Mysteries Of Laura, No Ordinary Family, Brothers and Sisters) and Ali Adler (No Ordinary Family, The New Normal). Warner Bros. TV is producing which should see the series air on Nine in Australia. The series is based on the DC Comics character Kara Zor-El, who shares the super powers of her cousin Superman along with his vulnerability to Kryptonite. This will make five DC/WBTV series on the air in the US: Gotham on FOX, the CW’s Arrow, The Flash and iZombie on the CW, and Constantine on NBC. Supergirl has previously appeared in Smallville and had a 1984 feature film starring Helen Slater. I disagree with Lois and Clark being cheesy. I think it had a good blend of light-heartedness and seriousness. These days every tv/movie incarnation of a superhero requires a dark brooding superhero, dark scenery and is awfully serious. I do watch some but I do think there is a place for a more light-hearted superhero. I watched the last few seasons of Smallville when he was beginning to become superman and it was ok but there was always something missing in the series because Clark Kent wasn’t superman yet. I would enjoy a new proper superman series. The movies were ok but there has been a void in the superman franchise since Lois and Clark. See the problem with Supergirl is that she has too strong powers. Smallville could never really do the flying thing. Lois and Clark was very cheesy. At least Arrow is more real world based, so the action is better. The Flash, I haven’t seen it but running faster is the sort of thing smallville could do ok… so I think dedicate it to that, sped up stuff, green screen and whatever. You can do well enough. Gotham is no super powers. Supergirl powers, these days wires in greenscreen flying looks really bad. They’ll never have the budget for CG to do it right. So they’ll have to neuter the central aspect and powers of the character. Gosh, there’s going to be a lot of Superhero shows. But I must admit they are the only US network primetime shows that I am looking forward to seeing. Nine have the rights so no point in putting it on my list of shows to look out for. Though of course Supergirl is yet to make it to air and it remains to be seen how long Constantine is on air for. Reviews of the Costantine pilot have been highly critical and they reworked the show and wrote out Lucy Griffith after it. The LGBTQ are criticising and campaigning against it because they made the lead character straight instead of bisexual as in the comic. And it is premiering on Friday night.